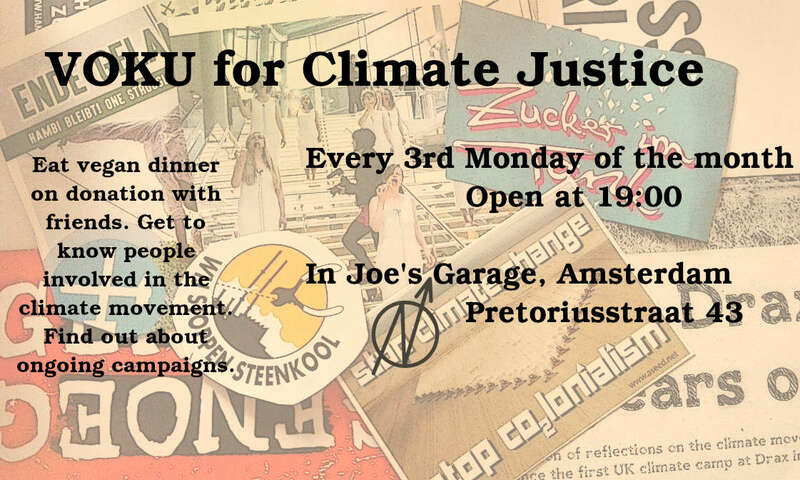 A benefit for climate justice in Joe’s Garage. It is for covering the costs of the Wij Stoppen Steenkool action in the harbour of Rotterdam. This evening will also be for sharing stories of mass disobedience actions against lignite-coal infrastructure during Ende Gelände that happened a few weeks earlier. As always, this is an ideal moment to get to know people that are involved in the climate movement. Open at 19:00 with a vegan meal on donation. Amsterdam based group for climate justice with people involved in various projects.